Laser engraving has become a crucial process for many industries around the world, transforming manufacturing and production lines. But, it’s a process that bears many similarities to other types of laser processes, and one would be forgiven for sometimes not knowing what differentiates them! Want to find out more about laser engraving? Or perhaps you’re looking for some answers to see which is the right process for you? We’ve answered some of the most frequently asked engraving questions below. Laser engraving is the process of leaving a permanent deep mark in a material using a laser beam. Unlike other more traditional methods, the heat of the beam will melt and vaporise the portion of material that it is being aimed at. What’s left behind is a smooth, permanent engraving. There will be a contrast in colour between the surface layer of the material and the engraving, meaning it’ll be easily visible to the user. How does it differ to laser marking, etching and ablation? The process has close links to the marking, etching and ablation processes as they all work with or alter the surface layer of a material. The difference between them comes from how deep they go into the surface of the material being processed and the desired outcome. Marking aims to leave a mark on the surface layer of the material without removing anything. It instead causes a colour change beneath the surface. Etching leaves a small indent in a material, no greater than 0.001”. Ablation is the process of removing a surface layer from a material. This may be for cleaning purposes or to prepare a material for other treatment. Engraving, on the other hand, is used to leave a mark with much deeper depths. For example, here we laser engraved stainless steel to a depth of 1.5mm. What will happen to my material during the process? Only the area where you are aiming the laser beam will be affected. It is a non-contact process, instead using the heat and energy of the laser to melt and vaporise the area that is being worked with. This means no other damage will be caused to the surrounding area of the material. What materials can I use laser engraving on? 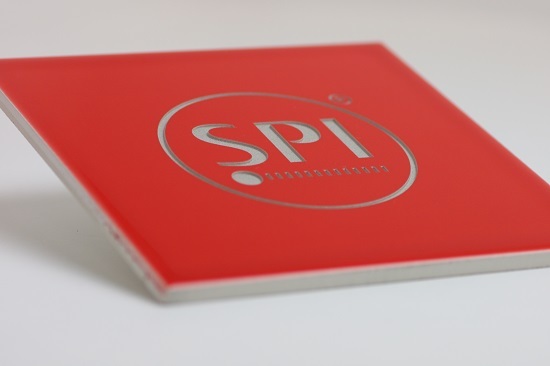 Engraving tiles is made easy with a laser from SPIEach material can present its own challenges, hence the need for a reliable and efficient process. For example, brass is a metal with a high level of reflectivity and thermal conductivity, characteristics that could make some setups struggle. This is why using a fiber laser, in particular, is especially beneficial; we have covered more on this below. Which industries will you find this process in? Given the fact that the engraving process can work with such a huge variety of materials, it’s unsurprising that it enjoys usage in many industries. These include the aerospace, automotive, semi-conductor, electronics, medical and jewellery industries. What are some applications for laser engraving? Generally, laser engraving is used for either aesthetic purposes or for more industrial reasons. Its aesthetic use comes from its ability to leave engravings on a range of items, both large and small. For example, perhaps the most popular use for this is within the jewellery industry. Its more industrial usage comes from its ability to create high-quality and easily readable bar codes, identification tags, or serial numbers. While laser marking also does this on the surface of an object, such as best before dates on items like milk cartons, sometimes a deeper engraving is needed. For more examples and applications of laser engraving, we recommended having a read of our extensive applications page here. What are the main benefits of this method over traditional engraving methods? There are many advantages to using a laser for engraving over other traditional methods. It is a much quicker, more reliable and more efficient process. The engraving that is left will be extremely high-quality, and easily visible to both humans and machines. A laser engraving setup can also easily interchanged between various processes. For example, as we examined above, laser engraving is extremely similar to marking or etching, and one setup could be capable of performing each process. This also means that one setup can be capable of working with multiple materials. This greatly reduces the cost of needing multiple systems. Which laser should I use? 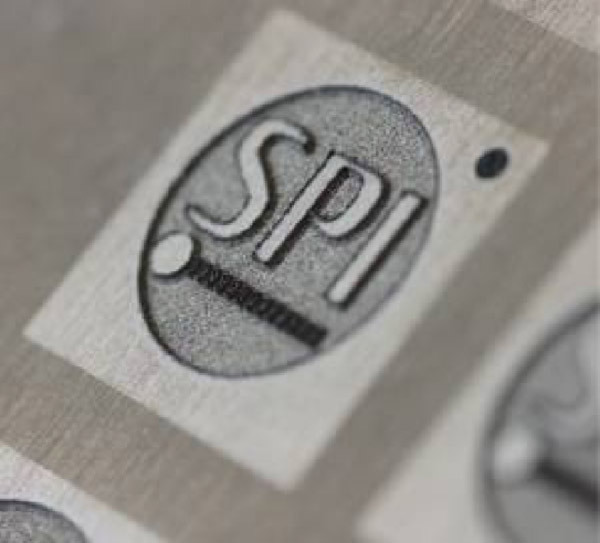 Here at SPI Lasers, we believe that fiber lasers are the most efficient type that one can use for laser engraving. Building on the advantages above, they offer further benefits with a longer service life, a greater level of control and less maintenance times. Using the latest and most innovative technology, our fiber lasers are also constructed with ‘Fit & Forget’ technology, meaning your products will stay maintenance free. We recommend using a pulsed fiber laser for the laser engraving process. For that, we have our popular redENERGY® G4 Pulsed Fiber Laser. If you would like to discuss this further, you can find our contact details below. 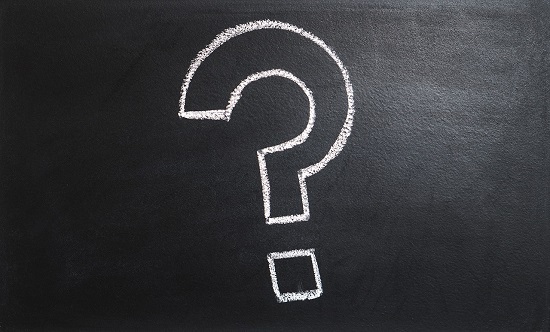 The questions and answers above are just some of the most common ones that come our way, but we would be happy to discuss any other questions you may have that aren’t listed here. You can speak with us directly, using our full list of our contact details here.